The www.adocia.com website is published by ADOCIA, a listed company with a Board of Directors, with a share capital of 691,675.30 euros, registered as a SA with the Trade and Companies Register (RCS) of Lyon under the number 487 647 737 (SIREN). The www.adocia.com website is hosted by OVH, a joint-stock company with a single partner, registered in the Roubaix Trade and Companies Register under the number 424 761 419, whose head office is located at 2 Rue Kellermann, 59100 Roubaix (France), whose phone number is +33 (0)9 72 10 10 07. The www.adocia.com website, (hereinafter the “Website”) is a non-commercial website that aims to display an institutional presentation of the activities, products and services of ADOCIA. It is available free of charge on the Internet. All costs related to access to the site and its content, as its use, material fees, software or access to the Internet are the sole responsibility of the visitor. The Website is accessible 24 hours a day, 7 days a week, subject to the occurrence of a case of unforeseeable circumstances (force majeure) or an event beyond the control of ADOCIA and unless interruption, suspension or limitation in the course of maintenance operations and/or update necessary for the proper functioning of the Website or for any other reason, notably technical reason. ADOCIA is only bound to an obligation of means concerning the accessibility, the operation and/or the availability of the Site or its content. ADOCIA reserves the right to interrupt, suspend or limit access to all or part of the Website or its content, in particular due to legal or technical constraints. ADOCIA makes its best efforts to keep the Website up-to-date and to disseminate reliable, lawful and validated information by competent professionals (including doctors, scientists and engineers). However, despite all the care and attention given to the writing of content and information, ADOCIA cannot guarantee the integrity, accuracy, completeness, timeliness or other quality of information on the Website. The information published on the Website provided by ADOCIA is strictly and exclusively informative and indicative, in no way intended to provide, in any way whatsoever, advice or recommendations in the field of health or medical diagnosis and cannot be interpreted as such. The information published on the Website cannot take the place of a health professional. The visitor of the Website is informed that access to the Website implies knowledge and acceptance of the characteristics and the limits of the Internet, in particular as far as technical performance, the response time for consulting, examining or transferring information, the risk of interruption, and more generally, the risks inherent in any connection and transmission over the internet, the lack of protection of certain data against possible diversions and the risk of contamination by any viruses circulating on the network. It is therefore the responsibility of the visitor of the Website to take all appropriate measures to protect his/her own data and / or software stored on his/her computer equipment, as well as the information the visitor communicates to ADOCIA on the Website, against any infringement. The Site is made available “as it is” and is subject to availability, without any guarantee of any kind, implicit or explicit, from ADOCIA. Without limiting the foregoing, ADOCIA does not grant any guarantee of non-infringement of the rights of a third-party, in particular suitability of the Website or its contents for a particular purpose or adequacy to the visitor’s needs of the Website, nor does it guarantee that they are free from anomalies, errors or glitches or that they will work without failure or interruption. To the fullest extent permitted by applicable law, ADOCIA expressly excludes its liability for any damage, direct or indirect, arising out of or in connection with access to the Website or any of its contents, use, malfunction or unavailability regardless of its nature and duration. The Website may contain hypertext links to third-party websites. ADOCIA has no control over the contents of third-party websites referenced by hypertext links. These websites are published by third-party companies independent of ADOCIA. ADOCIA cannot therefore assume any responsibility for the content, advertising, products, services or any other information or available data on or accessible via those sites. Consequently, the visitor of the Website acknowledges being solely responsible for the access and use of these sites. ADOCIA cannot be held responsible for any damage or loss proven or alleged consecutive or in connection with the use or the fact of having trusted the contents, goods or services available on these sites. The visitor of the Website is not authorized to create hypertext links to the Website. The creation of hypertext links to the Website may only proceed subject to the prior written agreement of ADOCIA. The Website, its general structure and all its contents are protected by intellectual property rights (in particular copyright, trademark law, patent law, database producers’ right, domain names and all other existing or future intellectual property rights, French and international) and belongs to ADOCIA or to third-parties having authorized ADOCIA to exploit them. ADOCIA does not assign or grant any right on the Website and its contents to the visitor of the Website, except for a free and non-exclusive, personal right of access, limited exclusively to the consultation of the Website and its contents. It is strictly forbidden to represent, reproduce and/or exploit the Website or one or more of its contents, totally or partially, in any form and by any means whatsoever, without the prior written consent of ADOCIA. The visitor undertakes not to copy, modify, assemble, decompile, alter, sell, rent, lend, broadcast, distribute or transfer the Website and/or one or more of its contents, create derivative works from the Website, nor authorize a third-party to commit such acts or allow him to do so, without the prior written consent of ADOCIA. The names and logos ADOCIA as well as the general structure, texts, logos and the names of the products and services offered by ADOCIA on the Website have been registered as trademarks of ADOCIA. Any representation, reproduction and/or exploitation, total or partial, of these trademarks, of any nature whatsoever, is totally prohibited. 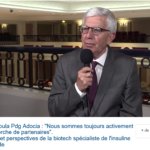 The ADOCIA website and its contents are intended for Internet users residing in France. 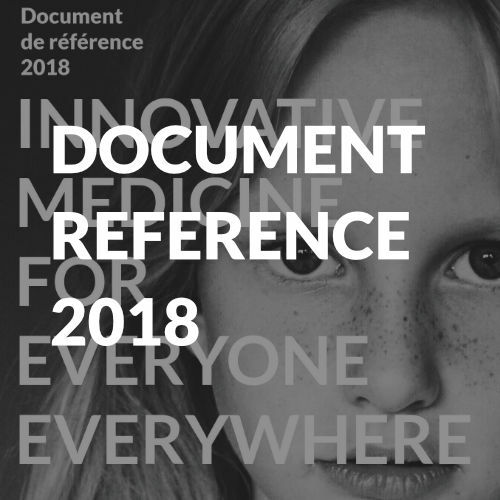 As a matter of fact, the laws, regulations and medical practices may be different in other countries than France and require references to different or complementary information. It is the responsibility of any visitor to the Website located outside France to check and comply with the laws and regulations in force in his/her country.